Plantation Slip and Fall Attorney, Robert E. Gluck, is very respected by his previous and current clients, as well as in the field. He has the legal, professional experience necessary to perform tremendously well when defending clients. He is the ideal example of a slip and fall attorney. Robert E. Gluck will represent an injured person when the injury is due to an accident, or incident of some sort. Slip and fall accidents like a wet floor from a shopping mall or grocery store, a casino or bar, maybe even someone's private property, or a damaged product. A Plantation Slip and Fall Attorney can only open a slip and fall personal injury case if evidence of negligence can be proved. Negligence takes place when someone has not taken proper reasonable care for another person. This makes the person at fault negligent, and they will be held accountable for any injuries sustained during the time of negligence. Hire Robert E. Gluck as your slip and fall attorney to get the best results possible while pursuing your case. Call him today for a FREE evaluation! You should hire a Plantation Slip and Fall Attorney to legally represent you, or any injured party, during your injury claim. Research indicates when an injured person is legally represented by an attorney their chance of receiving high financial compensation is significantly improved. Do not try to handle your case on your own, you require legal expertise in order to achieve optimal results. It is of high importance that you hire a very experienced slip and fall attorney who can launch an investigation right away. Do not wait, call Robert E. Gluck today, to begin your case immediately. The litigation and negotiation process can be extremely difficult, and for this reason it is to your advantage to hire an attorney with significant experience handling the same type of case as yours. Robert E. Gluck has been an attorney since 1989, he will work hard for you, and fight to get you the results you would like to see. He will find witnesses and get their statements, he will get a hold of any video footage he can locate, take pictures of the accident scene, and look for property damage. 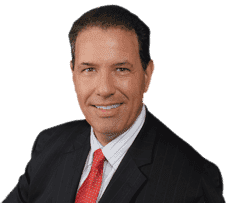 Robert E. Gluck, your plantation slip and fall attorney, will greet you at his office, the Law Offices of Robert E. Gluck, P.A., and will launch a full investigation into your case. Contact him today for a FREE consultation.